There’s no better way to help grow happiness than by making new friends and here are four simple and fun ways to help break the ice. Once you’ve settled in, invite the neighbors for drinks and appetizers or a BBQ. Toss in fun games, turn on some great music, get a fire going in the fire pit and you’ve got the makings of a great night. Most people like to contribute, too, so ask them to bring a favorite dish. Literally. Walk your dog, go for a run, do some gardening, head to the community pool, or attend neighborhood events, such as a block party or an association meeting. They’re super easy ways to meet people and all it takes is a smile, wave or a simple “hello” to get the conversation going. If you’ve got kids, scope out your neighborhood for children that are of similar ages to your own. Introduce yourself to their parents, suggest a playdate, and offer to host it at your house. Serve snacks and juices, have games or movies ready and you’ll be the hit of the neighborhood. Check to see if there are opportunities to volunteer or give back to the community. Perhaps there are senior citizens on your block who could use a hand with yard work. Or a community garden that needs tending to. Maybe there’s a local food drive coming up that you could donate your time to. 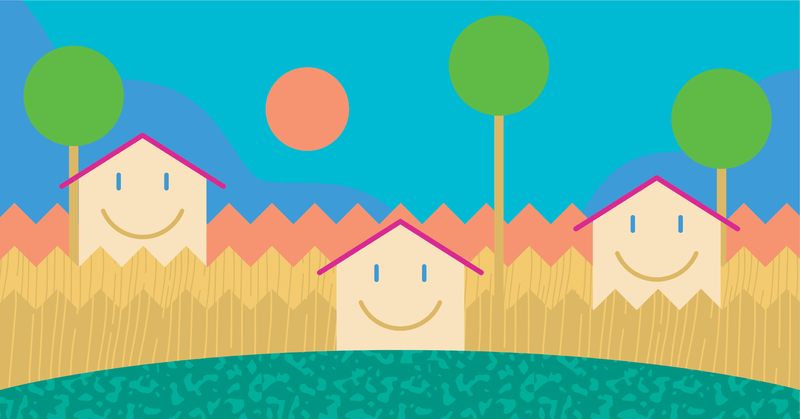 If you look around, you’ll discover lots of ways to connect with neighbors while doing something good.